Many homeowners with independent heating choose light and elegant steel panel radiators. 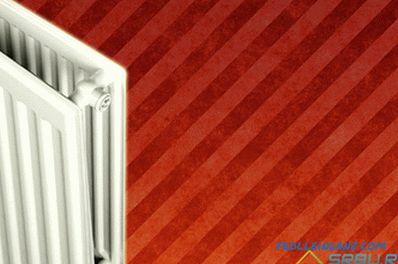 The stores sell many types of them, but what panel radiators are better to use for the heating system of your house, we'll talk in this article. There are all types of panel radiators differ in the number of panels, as well as the presence or absence of fins (convectors). All of this affects heat transfer. Convectors are U-shaped steel fins welded to panels from the inside. Available open and closed with grills from the sides and from the top radiators. For cleaning, an open radiator is easier, and a closed one looks more aesthetic. And the heat transfer is higher. 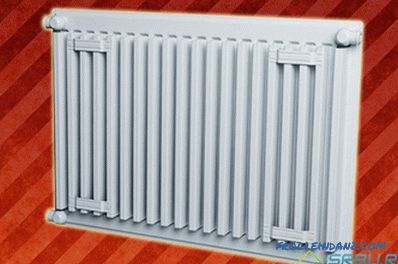 Radiators of this type have neither a convector, nor a grille, but only one heating panel. The number "1" means that the row of panels is one, and "0" means that the fins are missing. No convection - no dust, which certainly accompanies it. Therefore, for a hospital or kindergarten, they are a great option. 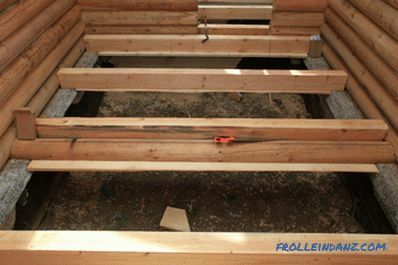 The lack of side walls and grating makes cleaning as simple as possible. There is also one row of panels, on the back side of which there is a ribbing. Upper lattice no. Due to the presence of fins, the heating is faster than that of type 10. 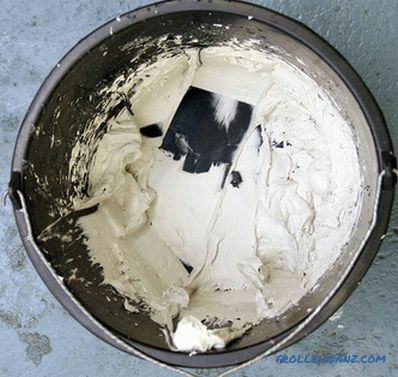 Cleaning is needed more thoroughly (convection attracts dust). There are two rows of panels, but there is no convector (fins). There is a grill for air outlet. Power is higher than single-row models. Again, two rows of panels, but with convector fins mounted between the panels. From above the radiator is closed by a casing. There are two panels, a convector is welded to each of them. There is a casing on the outside. This type of battery is most popular. The panels are already three rows, there are no convectors, the top of the battery is covered with a grill. 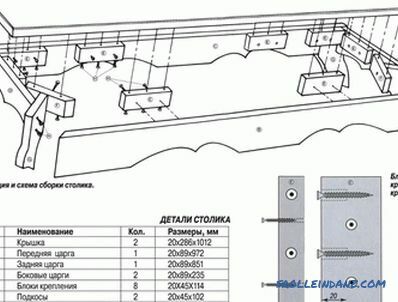 Convective fins (three rows) are made between three rows of panels. There is a casing. 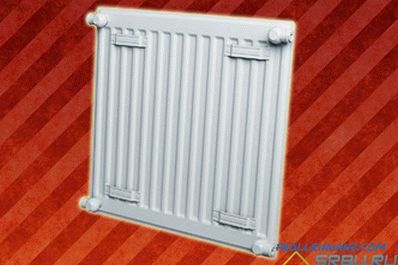 This type of radiator is the most powerful, giving the most heat and heating quickly. But he collects more dust than anyone. 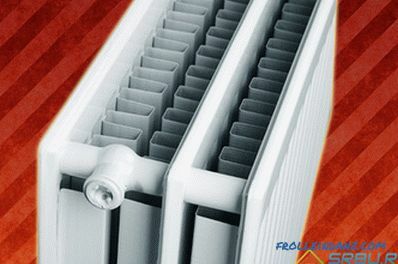 As already mentioned, the most popular type of panel radiators is type 22. It has a sufficiently large capacity and at the same time is a compact device, so many prefer it to him. When you ask a friend or neighbor what steel panel radiators are better for, we basically hear the names of European companies in response. There are some good reviews about Turkish batteries. Next, we list the brands that can really show the quality of products. This German brand is distinguished by the new patented Therm X2 technology, as well as the special quality of radiator finishes. A special two-layer lacquer coating is made according to a unique recipe. Radiators can work in both two-pipe and one-pipe CO. They connect from the bottom, have a power saving mode. Available in models with factory-installed power levels. 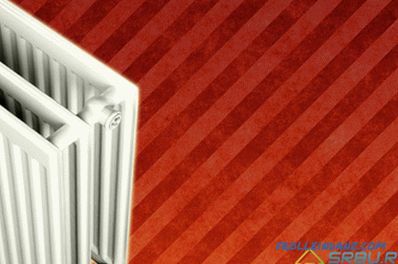 In more detail about these radiators, we wrote in the material: Technical characteristics of Kermi heating radiators, their varieties and advantages. This brand of radiators is Italian. They can withstand up to 8.7 bar of pressure and up to 110 ° C coolant temperature. "Standart" models are connected from the side, "Universal" models with a temperature controller - from below. Radiators manufactured by Biasi S. p. A. 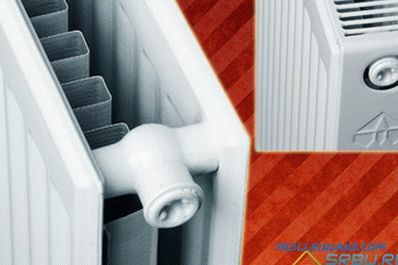 Another Italian company produces radiators using the most advanced technology. Therefore, the heat transfer from the devices is excellent, and the heating is almost instantaneous. They work well at low temperatures. The limit for working pressure is 9 bar. These are Finnish radiator brands painted in snow-white. They are made from the highest quality cold-rolled steel (FePO1). The temperature limit is up to 95 ° C, the pressure limit is 10 bar. These radiators are made by a Czech company. They can be with one, two and three rows of panels. A wide range of colors and 10 types of models, convenient brackets included, a small amount of coolant - the advantages of these radiators. The pressure limit is 8.7 bar. On temperature - 110 degrees. This Belgian company makes unique radiators. 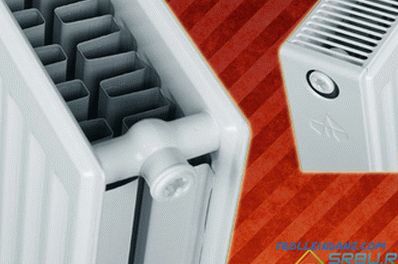 Two edges of convectors on each channel of the panels give high heat transfer. This reduces the amount of coolant. The company also produces the Compact model, which is really very compact and convenient for small rooms. Another plus of the Belgian company radiators is the KTL2 technology.The thickness of the coating is not less than 50 microns, not a single unpainted point - all this does not give the corrosion any chance. The pressure limit is 10 bar. 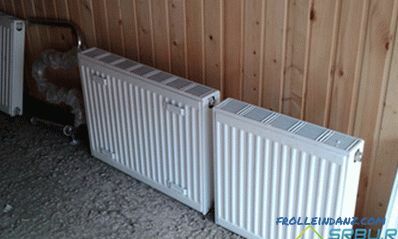 These radiators are Turkish, and the equipment for their production is purchased in Germany. This is an automated line and welding units. Steel, from which radiators are made, has a high resistance to corrosion. Additional protection gives zinc-phosphate coating, enamel-enhanced. The pressure limit is 8.7 bar. 10 110 929 2. 6 13. 6 Side - female thread 1/2 "
Lower - female thread 2 x 1/2"
The steel for the manufacture of a radiator fully complies with the standards. 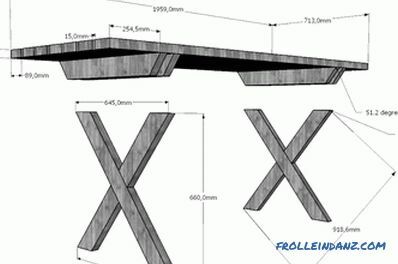 It is checked in the laboratory or there is a document from the manufacturer. Fully serviceable welding units work with strict adherence to the weld length and welding points. 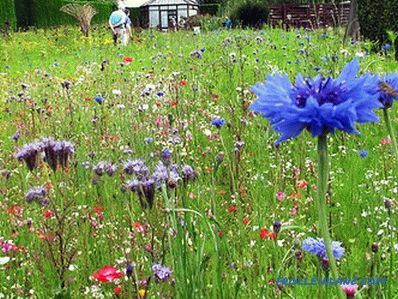 Resistant staining was carried out in compliance with DIN 55900-1, 2. At each stage of manufacture, the control is documented. Batteries are tested at 1.3 operating pressure. It is checked whether the heat output complies with the generally accepted standard EN 442.